It’s no secret – cats love the feel of the wind in their whiskers. They love sleeping in sun puddles and watching birds. 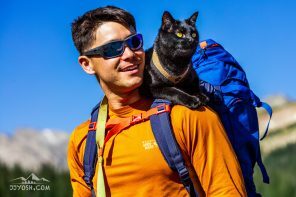 But we can’t always take our little adventurers out for a hike, and besides, not every cat is comfortable exploring the world on a leash. That’s where catios come in. 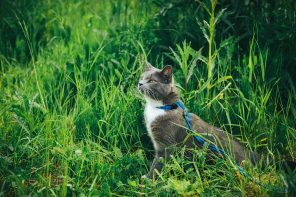 Catios are outdoor spaces that are totally enclosed so that cats of all backgrounds and personalities can get a taste of the outdoors without any of the risks. Maybe you live in the city, or in the countryside where predators roam. 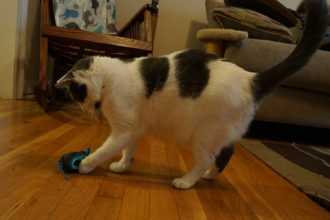 Maybe you have a timid indoor cat who would really appreciate some fresh air. Maybe your cat seems lethargic, bored or anxious. 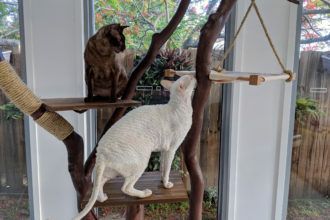 “Since we are not comfortable with letting our cats out without a leash, we thought a catio would be a good compromise,” Jordan Hardiman, owner of two cats named Simon and Ezra, told Adventure Cats. 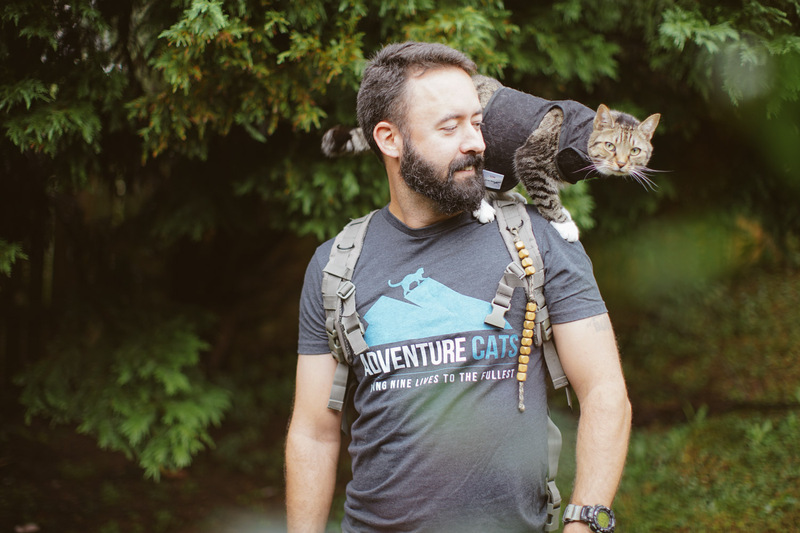 Ezra is the adventurer of the two, but they both love their catio. Another reason to build a catio might be to alleviate stress and provide extra stimulation to cats who seem anxious. 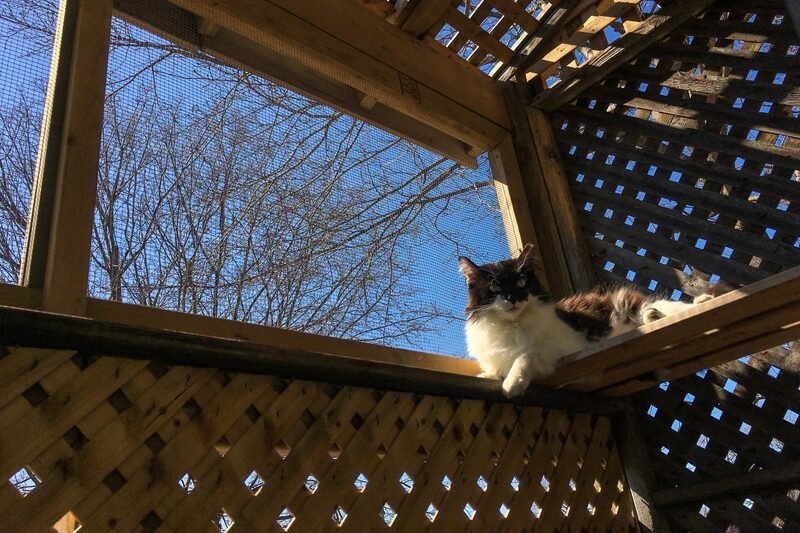 There are many compelling reasons to build a catio, and we’re here to tell you some good news: Building a catio is much easier and less expensive, than you might think. Even if you live in an apartment with nothing but a fire escape, you can make it work. Here’s how. Work with the space you’ve got! Pick a window, or even a doggy door, to attach your catio to. If you have a patio, deck or balcony area, even better! 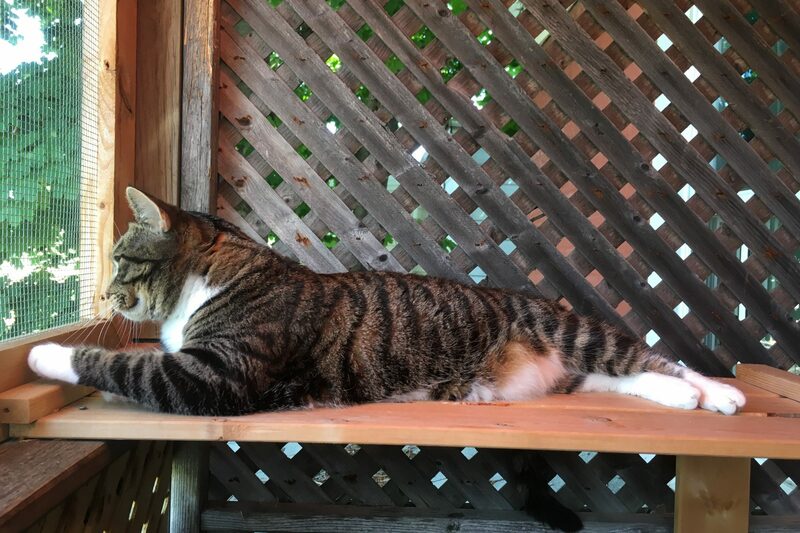 You want to give your cat easy access to an outdoor space without blocking your own, so plan strategically. If you’ve got a patio or deck, that’s an easy go-to. 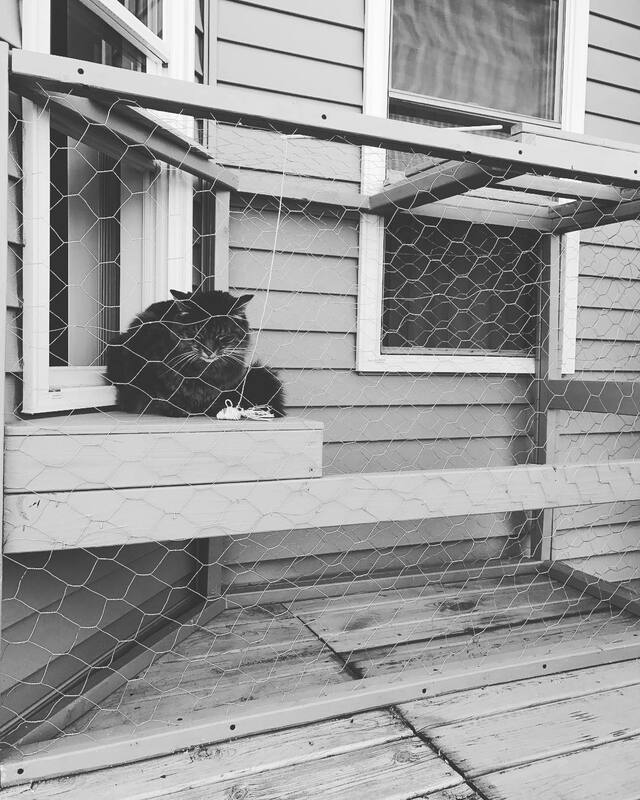 Some people turn their entire deck into a catio by encasing it in chicken wire and lattice. That’s the setup that James Beaton, cat-dad to Billie and Boo, has. 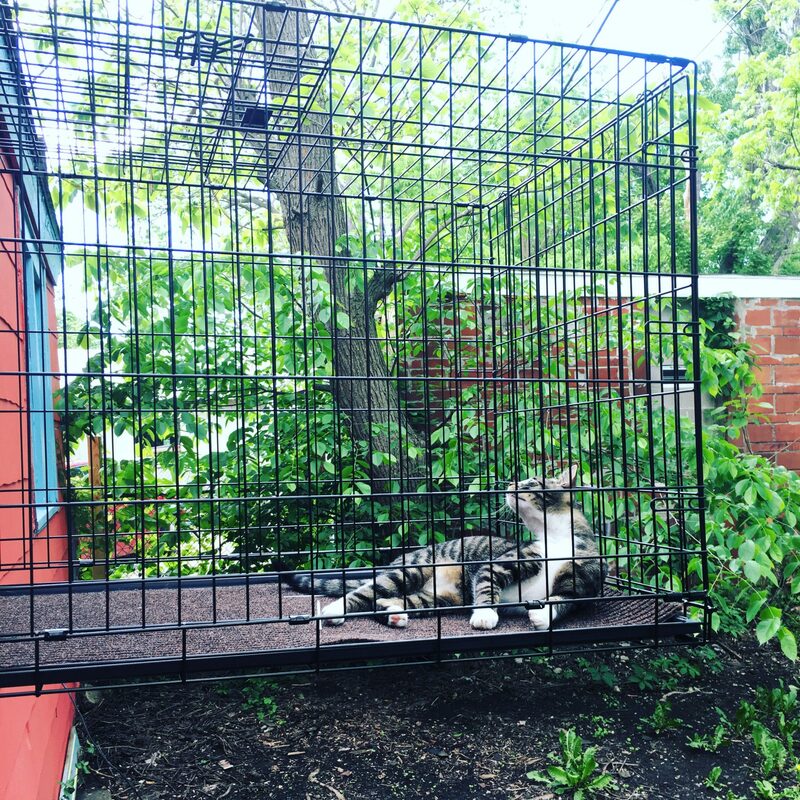 With some lattice, chicken wire and an adapted Ikea shelf, this easy catio has Billie the cat ‘feline’ good. 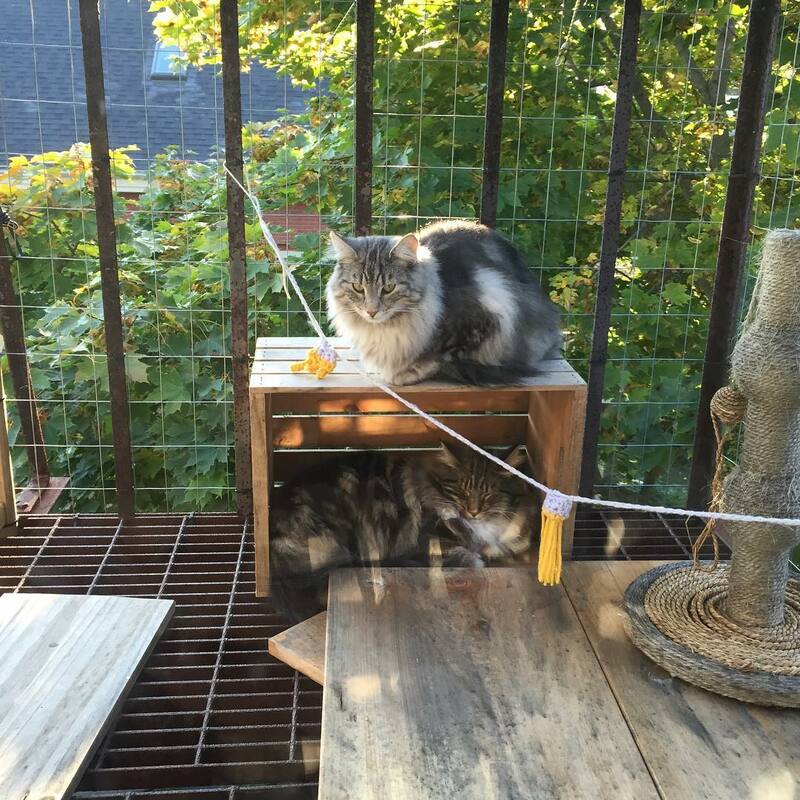 “Once the enclosure was constructed, I adapted Ikea shelving so that the cats would have platforms to sit on and watch over the back yard,” he said. For these indoor cats, the catio has made all the difference. Can’t dedicate an entire deck to your feline roommate? Susie Peterson and Richard Moore built their catio from their laundry room window onto their covered patio. 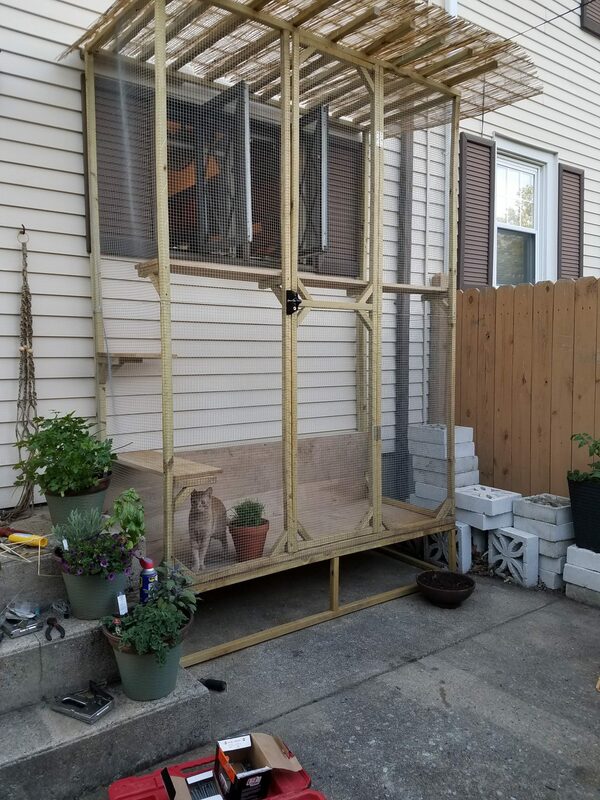 With a bit of wire screen and lumber, they had a working catio in no time, and it enabled them to share the outdoor space with their cat, Riley. 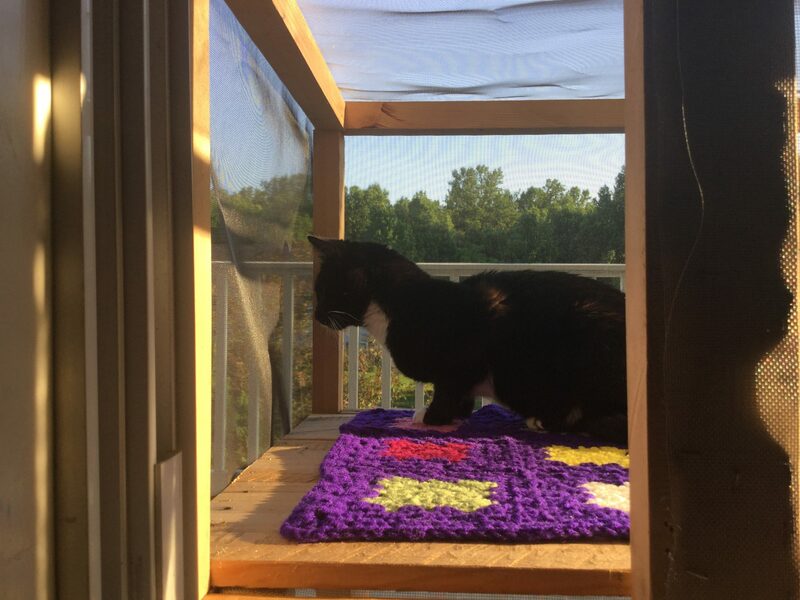 Moore kindly shared his catio plans with us, which are adaptable for anyone. Download them here. 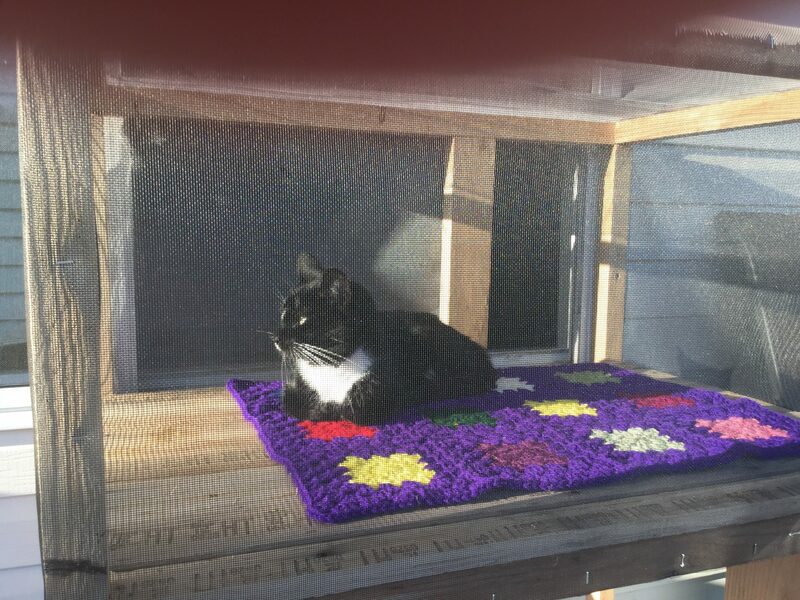 Fuller and her husband attached the catio to a living room window under a shady, covered porch. 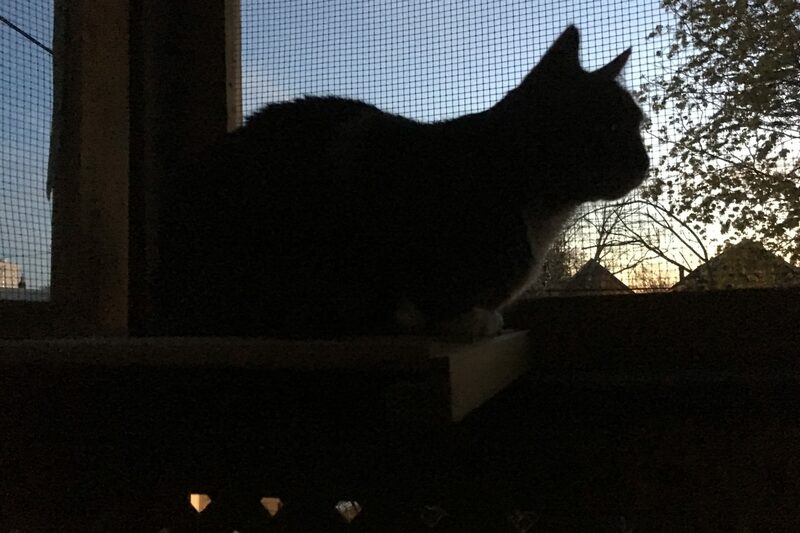 Casper, an indoor cat who she affectionately nicknamed Cat Man, loves his new perch. Pratt also recommends drilling holes into the bottom of the dog crate for better drainage when it rains, and an outdoor carpet to make it more comfortable. Pratt’s two cats were both used to the outdoors until they moved to the city. “I felt horrible not being able to let them enjoy the beautiful weather we so rarely get in Buffalo,” she said. Pratt says she barely finished installing the catio when the kitten started to sunbathe on it. 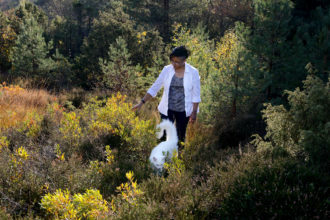 “They love it, and I don’t feel like I completely took away their freedom anymore,” she said. Remember, if you can’t build out, you can always build up! This is a great option for smaller patios, or areas that you want to share space with the catio. “We didn’t have a lot of room on our back patio, so we had to make the best use of the space that we had,” Holli Johannes of Portland, Oregon, said. 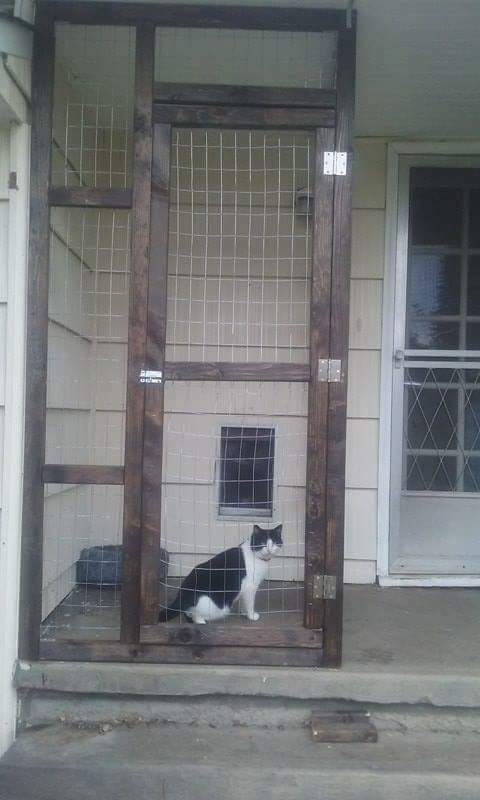 The previous owners of their home had installed a doggy door, so they utilized that to create a catio for their kitty, Walter. 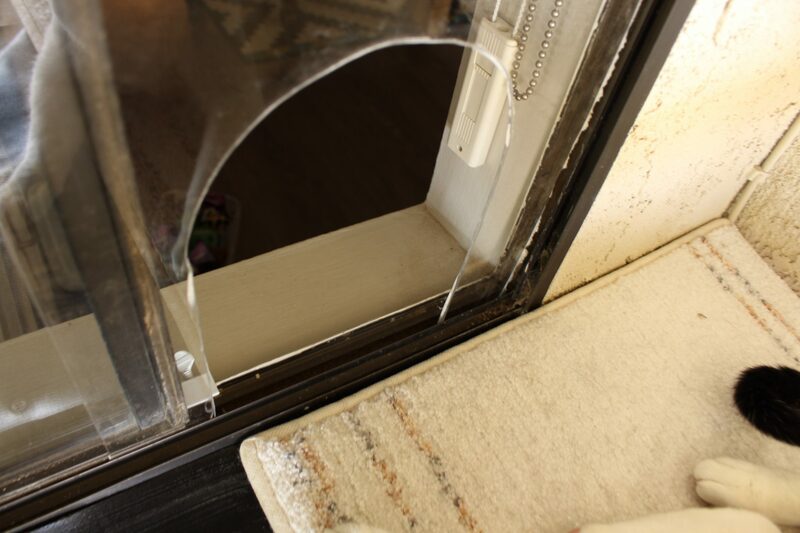 After a bit of training to use the doggy door, Walter soon became the first and only pet to use it – even his canine siblings don’t know how! An office window will do the trick, too, and you don’t have to be a carpenter to make it work. 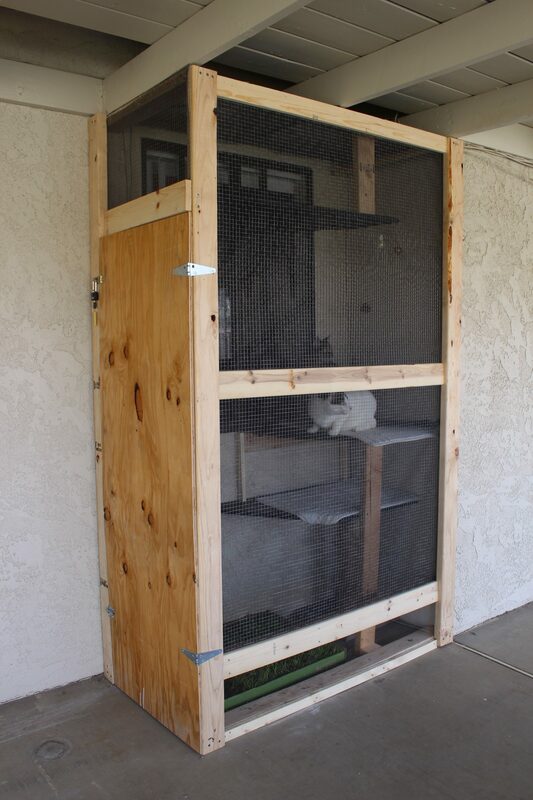 Alicia Arciero, a Californian cat mom to indoor cats Georgie and Frankie, says she and her husband spent a single afternoon on their catio and about $200 on materials, which consisted of eight 2x4s, three 1x2s, three 1x4s, two sturdy pressed boards for the shelves and door, a tight chicken wire roll, a screen roll, a sheet of plexiglass, carpet pieces, a box of nails and a staple gun. They went the extra mile and added shelves for Georgie and Frankie to climb on, plus a plexiglass bottom so the cats can see below them. “My husband also added a door so I could get in to it to clean,” Arciero said. In an apartment with little more than a fire escape? No problem! 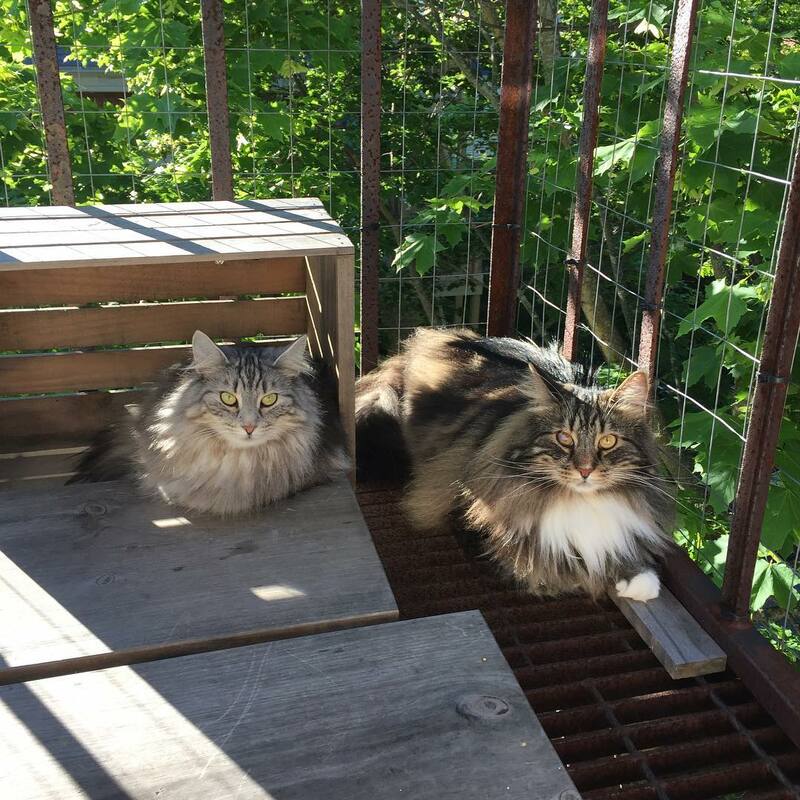 Emily Nodine, owner of two beautiful Norwegian forest cats named Mo and Olivia, decided to put her third-floor apartment’s fire escape to good use. 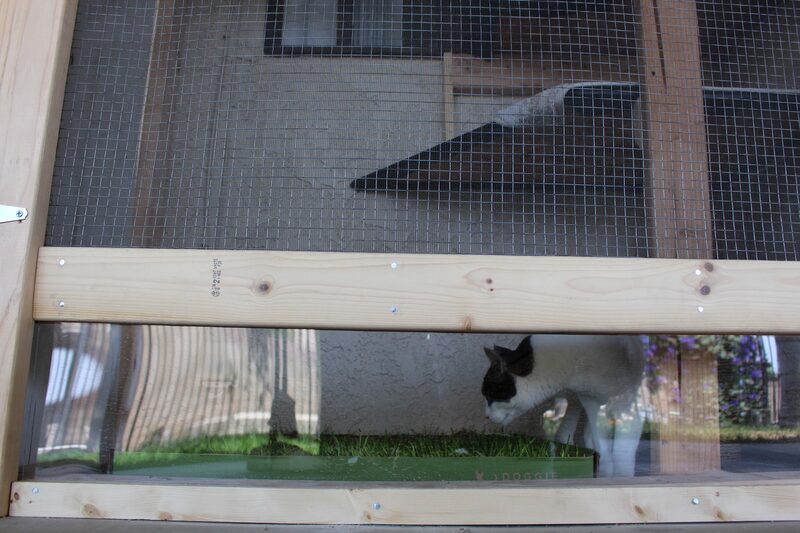 She and her husband simply enclosed the space and secured the catio with easily removable zip ties and bungee cords. 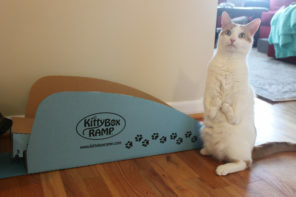 Making it an adjustable catio has enabled them to comply with safety codes, and now it’s portable for their next move. Now Mo and Olivia are obsessed. “It’s up high in the trees, so they have a great view of all the birds and squirrels that are running around up there,” Nodine said. “And they can watch people walking by on the street down below. Once you’ve built your catio, the possibilities abound. Adding shelves can give cats a place to play, climb and nap. “I used fishing line to hang some toys and put a scratching post on the bottom,” Arciero said. You might also consider sprucing up your catio with some cat-friendly plants like cat thyme, valerian or even catnip. 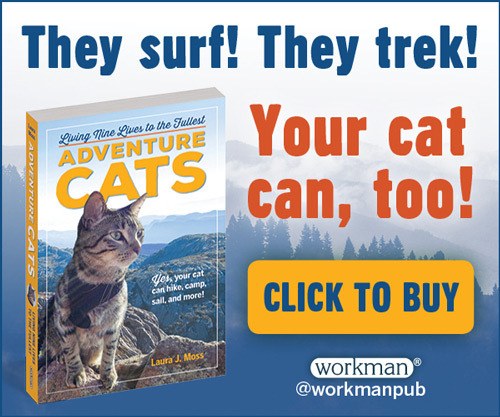 (We’re sure your cats would appreciate it). 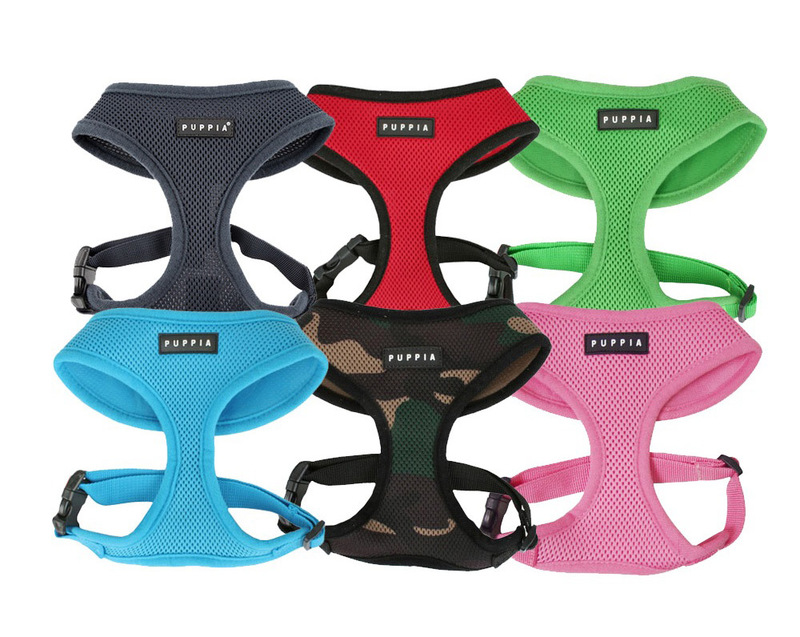 Pillows, beds, homemade blankets and even cat hammocks add to the snuggly feel and encourage cats to spend more time outdoors. And all cat owners know that something as simple as a cardboard box could become a cat’s new favorite thing. Our best advice? Go for it! 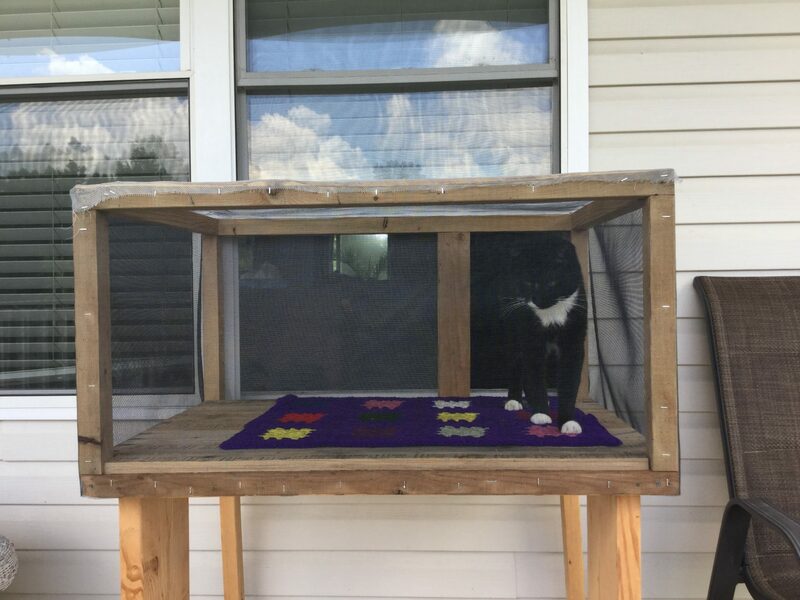 Whether you’re spending an hour, an afternoon or an entire summer creating the purrfect catio for your cat, rest assured your efforts will be rewarded. Hers were no exception, even though they had always been indoor cats. 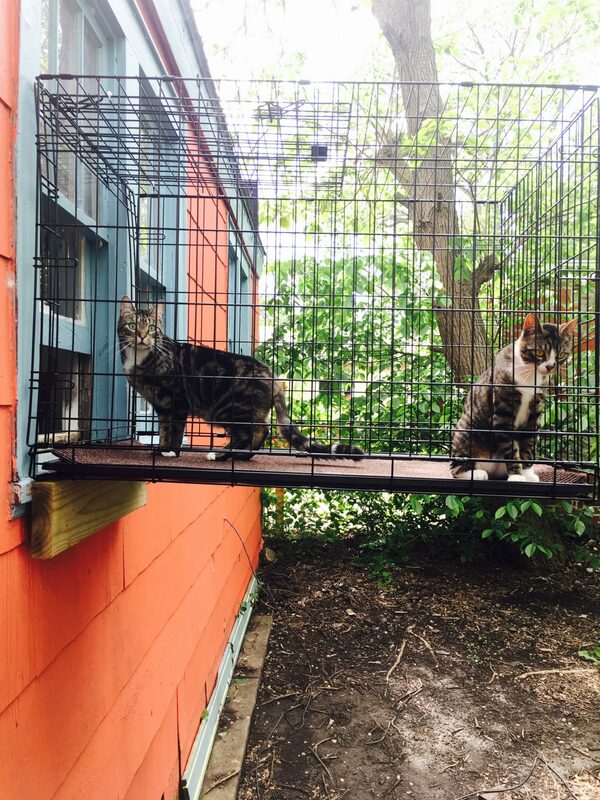 Scroll through the gallery at the top for more “inspurrational” catio photos, and for additional information on constructing a catio, we recommend this article from the Humane Society.